In Centurion, Virat Kohli-led team India thrashed South Africa by 9 wickets and achieved a 2-0 lead in the six-match ODI series. After the explosive performance of Kuldeep Yadav and Yuzvendra Chahal on the field of Super Sports Park, Team India captain Virat Kohli and Shikhar Dhawan's stormy batting gave the Indian team a win in only 20.3 overs. Batting first in this match, South Africa were all out for 118 in 32.2 overs and Team India got the target of 119 runs to win. Chasing the easy target, Team India scored 119 runs in 20.3 overs and won by 9 wickets. For Team India, Shikhar Dhawan scored the highest 51 runs, while captain Kohli scored 46 runs. Chahal was awarded the Man of the Match for his outstanding performance. 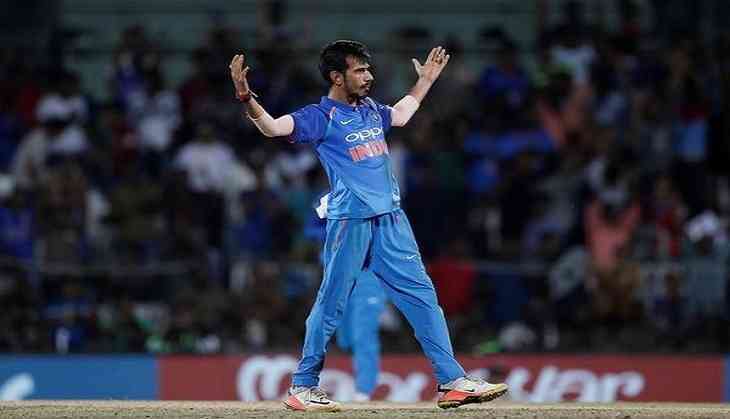 Driving on superb bowling of Yuzvendra Chahal, who attacked Proteas with his outstanding bowling stopped the hosts and helped India to win the second one-dayer against South Africa at the lowest score on their turf so far, taking five wickets in the second one-dayer. Chahal took the wickets of Quinton de Kock, Duminy, Khaya Zondo, Chris Morris and Morkel. With this, Chahal has become the first spinner to take five or more wickets on South Africa's turf. At the same time, after Ashish Nehra in South Africa, Chahal became the second Indian player who took five wickets in South Africa. Nehra had done this against England in Durban in 2003, and after 15 years of that record, Chahal took five wickets. Apart from Chahal, Kuldeep Yadav has taken 3 wickets. The Indian spinners have taken 8 wickets in this match.